Sri Lankan cricket is at the crossroads after their humbling loss against Zimbabwe in the five-match ODI series. Having lost the first match of the series, Angelo Mathews-led team came back and won the following two encounters. However, the visitors turned the tables and bagged the last two matches and ran away with the series. "It's one of the lowest points in my career, and a hard one to swallow," Mathews said after the 3-2 series defeat. In the aftermath of this, Sri Lanka’s captain stepped down from his position, leaving the gate open for others to take the responsibility. The next morning, Upul Tharanga was appointed as the captain for limited-overs-cricket, while Dinesh Chandimal was appointed as the captain in whites. 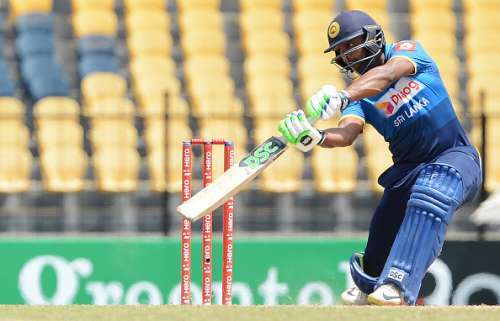 On that note, here, we take a look at five players in the Lankan ranks who can be in the leadership nucleus and help the struggling team move ahead from the recent debacles. Gunaratne’s ascension to the international arena came in February 2016, when he received a national call-up for the T20 against India in Vishakapatnam. Later in the same year, he made his Test and ODI debuts as well. He was immediately effective in Tests as he scored a fifty and a hundred in his first three international innings, against Zimbabwe. Gunaratne also earned a place in the ODI squad of the same tour, and made an impact with his bowling, as he claimed eight wickets to help Sri Lanka win the tri-nation trophy in Zimbabwe. In February 2017 he proved his T20 credentials as well when he made 84 in 46 balls– including three consecutive sixes in the penultimate over to chase down 174 made by Australia. Though relatively a newcomer in international cricket, Gunaratne’s clever cricketing skills can also help the leadership nucleus in the long run.